Top Rated Grammar and Mechanics Tutors in San Francisco, CA! Welcome to San Francisco’s top-rated private grammar and mechanics in-home tutoring service! All of the following San Francisco grammar and mechanics tutors are certified by Varsity Tutors, the leading tutoring agency in the country! 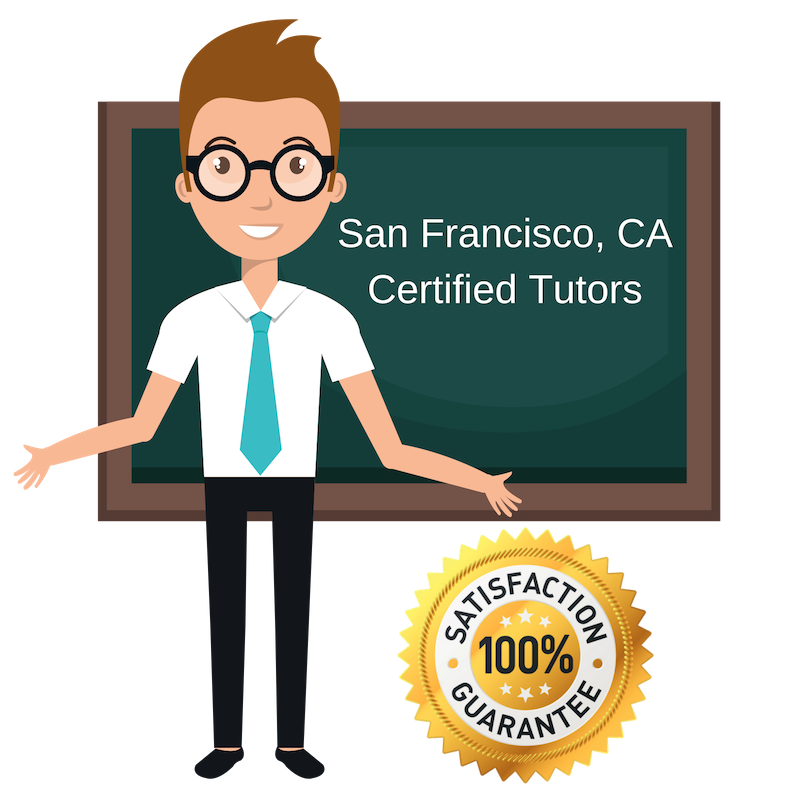 All San Francisco grammar and mechanics tutors have been background checked, been interviewed, had mock grammar and mechanics tutoring sessions, and been trained by professionals. We guarantee you will love your local San Francisco grammar and mechanics tutor or your money back! Get information regarding a top-rated grammar and mechanics tutor today! I am a biology major at the University of San Francisco. In my spare time, I work as a professional tutor for students seeking extra help in biology, chemistry, and English. While my major coursework involves the natural and physical sciences, I am quite experiences tutoring writing, grammar and mechanics. I began tutoring writing during high school, where I worked as a peer tutor with the National Honors Society, but I enjoyed tutoring very much and have continued to work as a tutor during my undergraduate career. I am a competent writer and I am very comfortable with the rules of grammar and mechanics. I enjoy helping students understand and correct technical language mistakes to perfect the different works they have worked so hard on. Based in San Francisco, CA, I am a private tutor happy to help students in writing, literature, and grammar and mechanics. While I studied nursing and psychology during my undergraduate and gradaute education, I also completed extensive coursework in Spanish literature which fueled a strong interest in writing. I find great personal value in serving as a personal tutor, and cannot begin to describe how much I truly enjoy working with students to identify their strengths, build their confidence, and guide them towards academic success. I try to create positive environments for expression and learning during my study sessions, and work hard to make sure that my students feel comfortable asking questions and trying new strategies. Having graduated from Barnard College at Columbia University in 2015 with degrees in human rights and urban studies, I have extensive experience with writing and reading social and political compositions of all sorts. My coursework included generous reading and writing assignments, and I developed a strong writing skill set and familiarity with the English language. I am currently available as a private tutor for reading, writing, and grammar and mechanics. I am working as a tutor in San Francisco, CA and welcome students from the area to reach out if they want to improve their writing skills. Having studied English and French literature, I am very confident in my mastery of not only the English language, but of grammar and mechanics in general. I am currently working as a private tutor here in San Francisco, CA and am eager to work with new students who hope to improve their skills in reading and writing. Previously, I have worked as a peer tutor at Pomona College, where I completed my bachelor’s degrees in English and French literature, and as a teaching assistant with New York University in Abu Dhabi. I am very passionate about literature and writing and thoroughly enjoy working with young writers and introducing individuals to new works of literature and means of composition. I am a tutor based in San Francisco, CA currently welcoming new students who wish to improve their handle of grammar and mechanics. I have several years of experience as a tutor and educator and am comfortable working with students of many different ages and backgrounds. I am a professional in early childhood education and also have experience working with older student populations as a peer tutor at The Boston Learning Center of San Francisco, CA State University. During my time as a writing assistant at The Boston Learning Center writing center, I was constantly proofreading essays and working to help students in different fields of study develop their papers, so my knowledge of grammar and mechanics was tested every day.